People always ask me how to look good in their photos. And you’ve seen by now that I spend a lot of time on my blog devoted to helping my clients. I want to help you pose in a way that’s flattering, I want you to look and FEEL good in front of the camera. It’s the same reason why I go to every wedding equipped with rice paper for blotting, scissors, fashion tape, pins, sewing kits, and more. I’m not just there to take your pictures, I’m there to help you feel good throughout the entire process, and beyond. And really, nothing will make you look better in photos than being confident and happy. On a weekly basis I hear from people the things that they don’t like about themselves in photos… acne, wrinkles, dark spots, redness. “You can just retouch that, right? Well, yeah, I can. But every photographer knows that what takes a minute to fix in real life might take an hour to retouch in Photoshop. You can do it, but it’s SO much better to just get it right in camera. So wouldn’t it be even better if you could fix that stuff in real life? And you know, I always joke that I never feel more powerful in life than when I’m working in photoshop. Want to be thinner? BLAM! Done! Want that blemish gone? Zap! I’m a superhero! Want your skin smoother! Pow! Think of how great it would feel to do that for people in REAL LIFE. 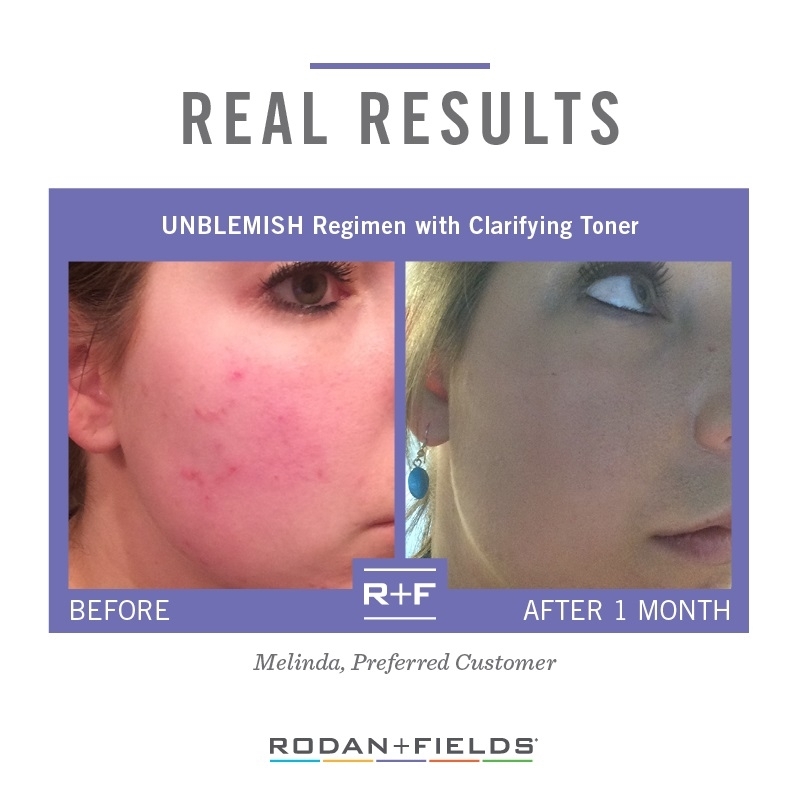 Then, about a year ago, I had my first exposure to Rodan + Fields. I saw people posting about it all the time on Facebook. I didn’t think it would do anything, because frankly nothing I’d ever tried before did anything, so why was this any different? But a friend of mine was selling some, so I thought I’d try it. The products came with a sticker on top that told me to take a “before” photo before I started, which I ignored. Why bother? Is it really going to make a difference? But here’s the thing, it DID. And then after that very first time I tried a Rodan + Fields, I felt the skin on my neck feel and look FIRMER. So I tried a full regimen, and dagnabbit, it WORKED. My skin felt firmer and younger. I was so in love with these products and didn’t feel like I was going to need to spend thousands on injecting toxins into my face, or worse, SURGERY. 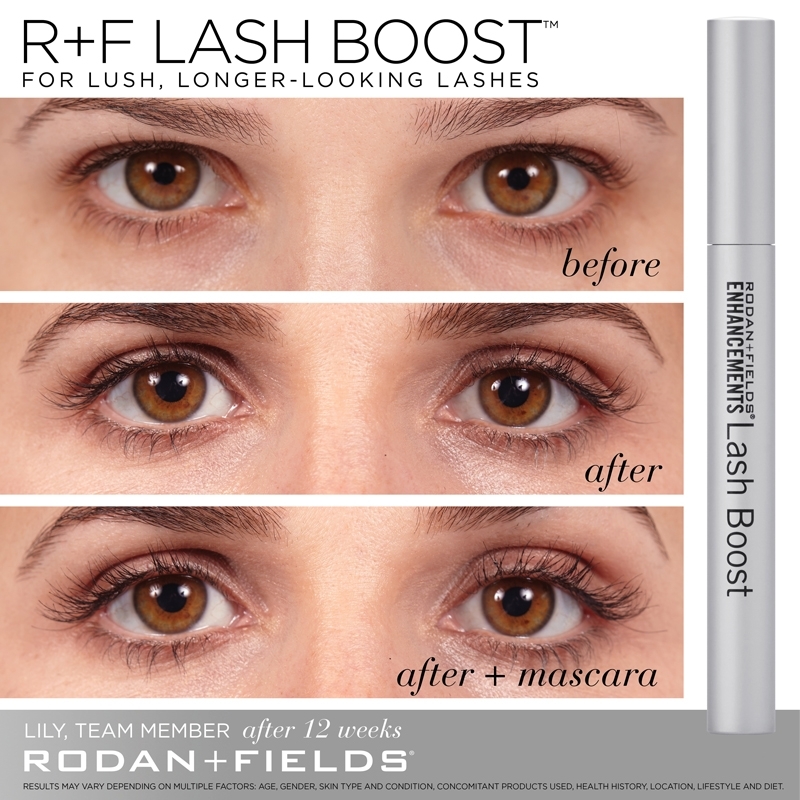 And since then, R+F released Lash Boost, this stuff you can put on your lash line every night and IT MAKES YOUR FREAKING EYELASHES LOOK LONGER AND FULLER. And my lashes, which by the way would have looked at home on an 8 year old boy, now looked long and full and luscious and feminine. And let me tell you, I wanted it ALL. Not just for myself, but I wanted to be able to help all the people I talk to on a daily basis who have issues with their appearance that are TOTALLY FIXABLE. 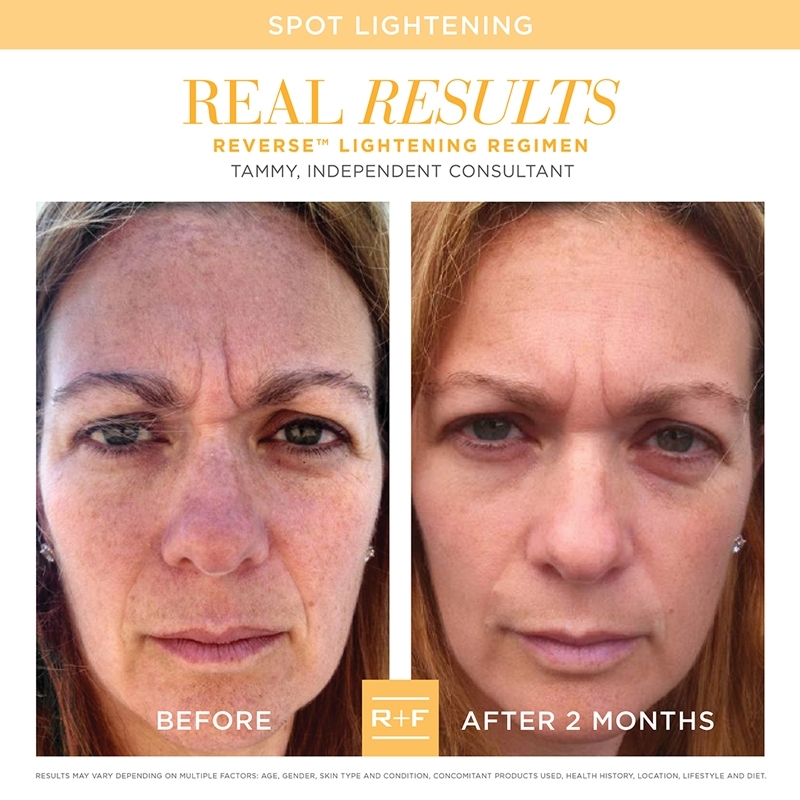 And there were two other things that struck me: First, the fact that R+F encourages people to take before and after photos with EVERY SINGLE PRODUCT. And second, the fact that they offer a 60-day money back guarantee, so if you don’t see a difference after 2 months, you’ve lost NOTHING. If your issue is dark spots, there’s Reverse. Want longer-looking, fuller-looking lashes? Lash Boost is my new BFF. Starting to see fine lines and wrinkles? Or want to keep them from appearing? 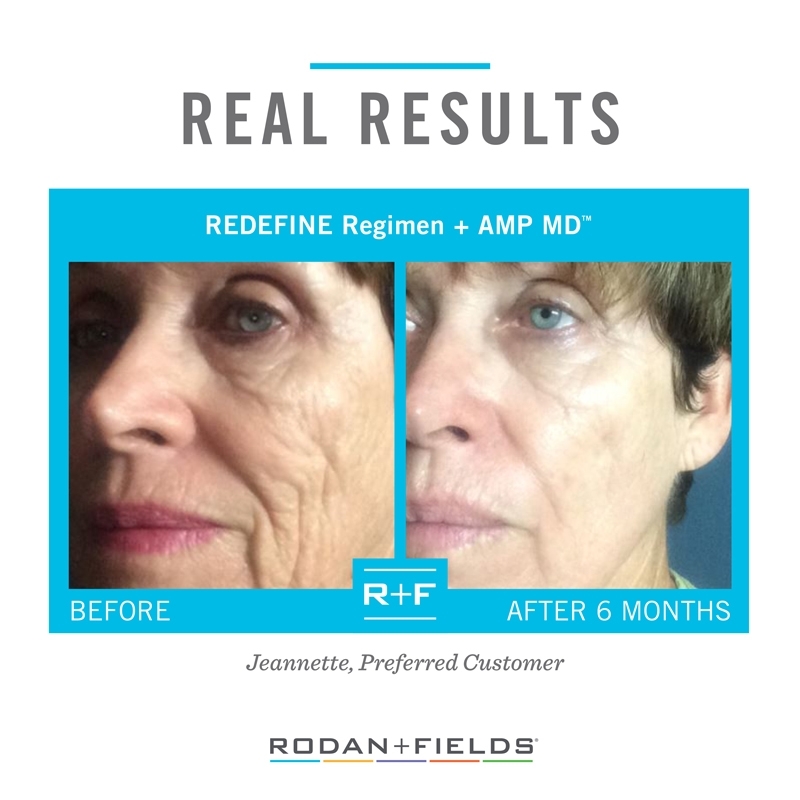 Redefine is your jam. And if you have sensitive skin and redness? 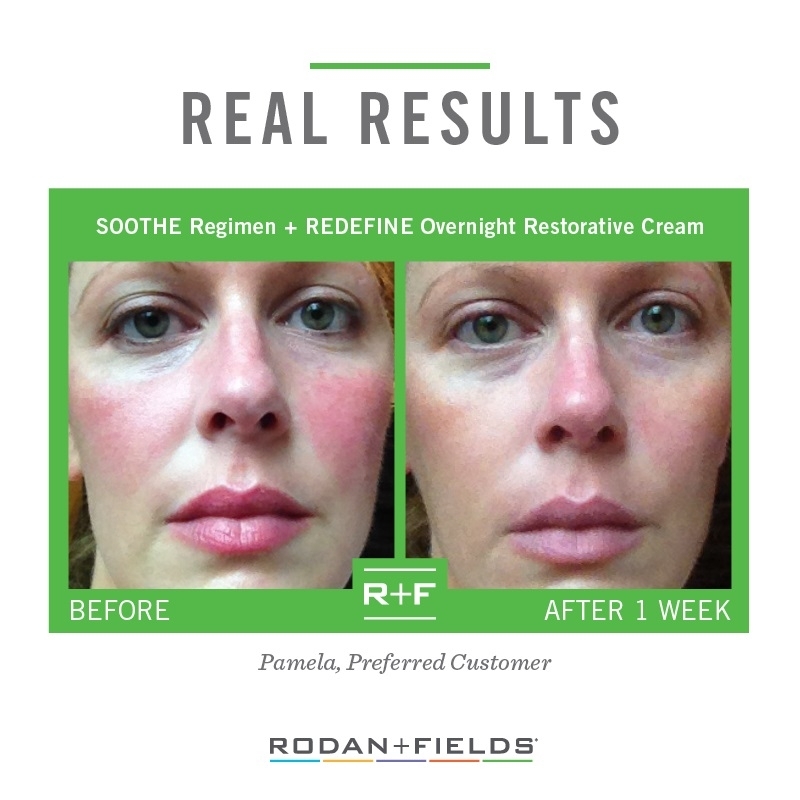 Soothe is where it’s at. It also works wonders for Psoriasis, eczema, sunburn, and even bug bites. And if your issue is acne, try Unblemish.